Installing fonts is important for those who are multilingual or want to spice up their screen. 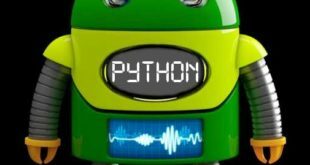 Many websites uses different fonts and without having to install fonts on Linux, you wont see those, you will see a flat boring default font. 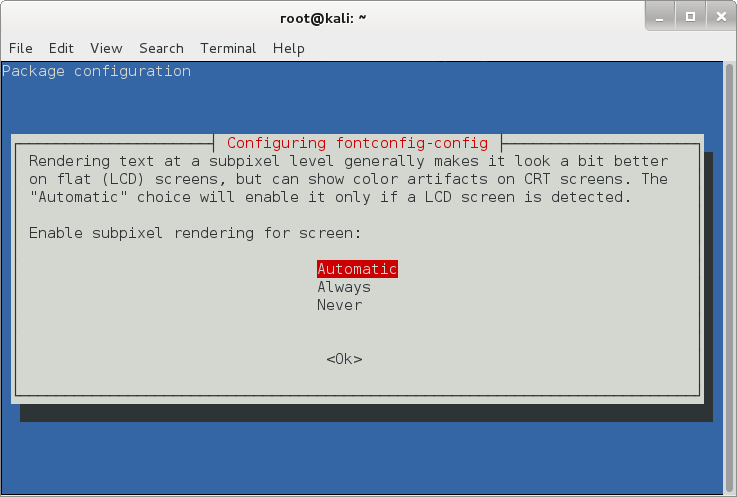 I will also show how to reconfigure your fontconfig so that it looks better on your CRT or LCD screen. You will need an Internet connection to download these fonts if you don’t already have them. NOTE: the package ttf-liberation contains free variants of the Times, Arial and Courier fonts. It’s better to use those instead unless you specifically need one of the other fonts from this package. First of all let’s check if we even have those fonts in our repositories. 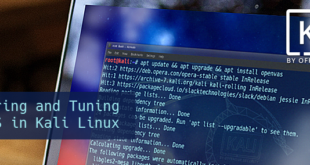 I use Kali Linux which is a variant of Debian Linux. 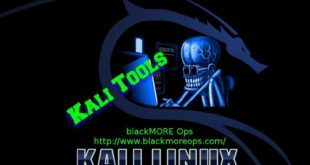 If you’re using Kali, you need to add the default official repositories. 0 upgraded, 1 newly installed, 0 to remove and 87 not upgraded. Need to get 0 B/33.3 kB of archives. 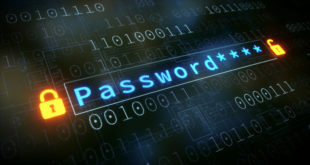 Connecting to aarnet.dl.sourceforge.net (aarnet.dl.sourceforge.net)|202.158.214.107|:80... connected. 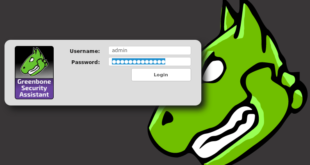 Note: If you’re behind a proxy server or TOR network, this install might not work, it seems you must be directly connected to Internet. Sometimes you download .ttf file (a font file) and you want to install it directly. In that case, copy the font file to one of the following directory. Here’s how the directories work. If you want the fonts for everyone on the system (i.e. in a multiuser environment) then put them on /usr/share/fonts. If you only want the fonts for yourself, then put them on ~.fonts directory of your home folder. Once you’ve copied the files in correct places, issue the following command to which will read and cache all installed fonts from these directories. Now if you want to list all installed and cached fonts on your system, you need to use fc-list command. It will present you with a series of options where you select what you want. The first option is if you want Native, Autohinter or None tuning for your fonts. I’ve selected Native on the above screen and pressed Ok.
On the next screen, it will ask you whether you want to enable subpixel rendering for screen. Obviously we want that, it makes fonts look a lot better on flat (LCD) screen, at the sametime if you’re using a CRT screen, it might break a few things. So automatic is the way to go. (in my personal case, I should’ve chosed Always and I am using a LCD screen, the choice is yours to make). Press Ok to move to the next screen. Choose your option and press Enter. Do fonts on your screen looks better now? So I decided I want to download a Gothic Font for fun. Please note that I used -O old_london.zip file as the output name. It’s because the website doesn’t provide a direct link to the file. Move the font files (*.ttf) to /usr/share/fonts folder. Confirm that the files exists in font cache now. The best take from this post would be installing new fonts. 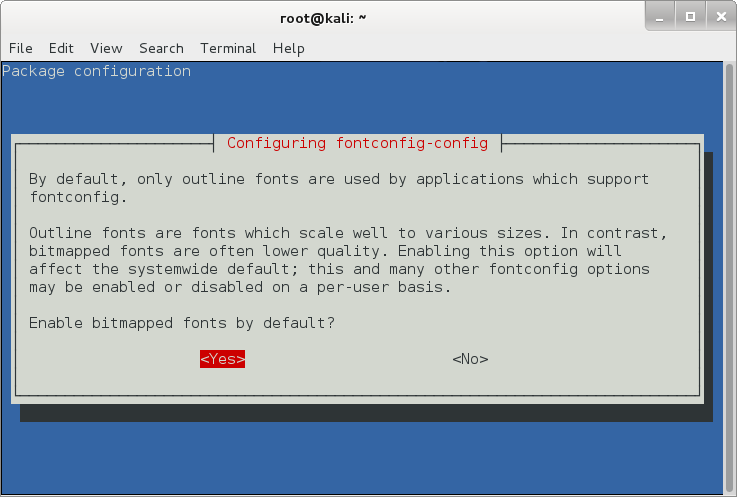 I think this solves font config for any Linux distributions. Enjoy and try out some interesting fonts. Thanks for reading. Please share. This is great’ it’s not legal and if you have public facing business this is a great way to get sued. You can’t move the MS fonts to a server without a license through their font company Monotype. Period. Very cool I love you site as I am a Kali head you always have the cool tricks tips. TY Brother. You should avoid unnecessary dependencies on propriertary stuff. That provides fonts with exactly the same metrics. That is, these fonts are perfectly working drop-in replacements for the Microsoft fonts. Exactly what I was looking for. I couldn’t for the life of me figure it out myself. Sometimes I want to use Times New Roman. 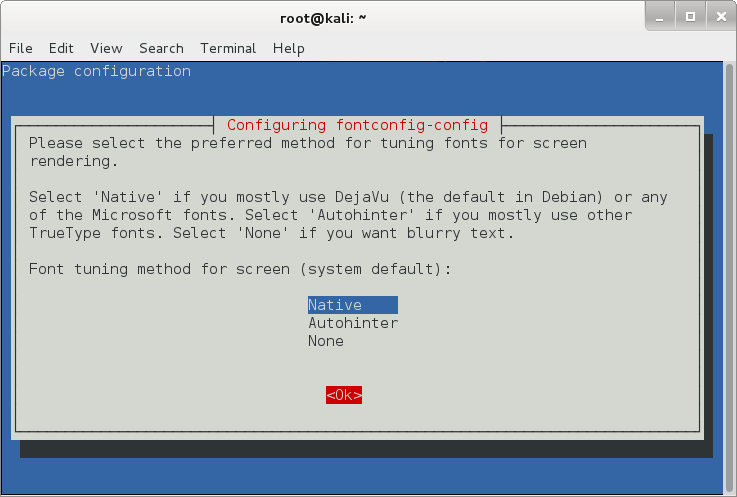 That’s really great, I installed Helvetica and others without problems on Debian 8. Really good job, thanks a lot! I installed a nepali font “preeti” using the last step..